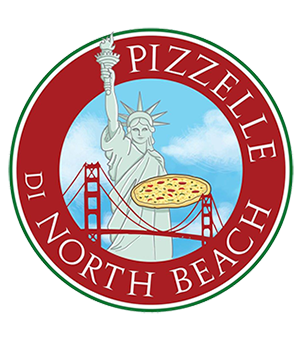 Online ordering menu for Pizzelle di North Beach. We use the finest ingredients and offer the best of freshness to our customers. Dine in, take out or we deliver to your home or office, hot out of the oven. We provide variety choices excel your appetite. We provides yummy appetizers and our fresh and delicious salads, sandwiches and pastas. We’re open daily from 11 a.m. for lunch and dinner. Call or order online for pickup or free delivery with a minimum order of $18. We located at the corner of Columbus Ave and Broadway St.